The Interactive Plug-in can help you create talking avatar for various business and education scenarios. 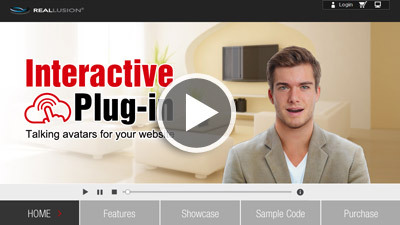 Check out some demo of the Interactive Plug-in on the Showcase page. Post your applications with the Interactive Plug-in under this thread to share with the community. The plug-in is compatible with iPad tabler and iOS ? Unfortunately not. The plug-in requires the Unity Webplayer which isn't available for iOS.